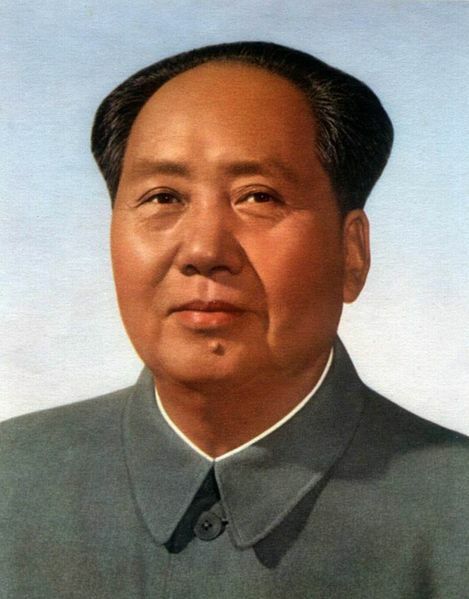 Mao Zedong was a revolutionary leader who led China to Communism. He was a dictator who controlled the world's most populous country. Mao Zedong was the son of a peasant family, born in a small village in Hunan province in southern China. At an early age Mao became attracted to the writings of Karl Marx and the teachings of Communism. Together with a dozen other young people he founded China’s Communist party in 1921. In the years that followed Communists and Nationalists fought for power in China. At that time Nationalist leader Chiang Kai-shek wanted to become China's leader. He drove Mao Zedong out of his stronghold, Jiangxi Province. In the following years Mao and his followers went northward, in what was called the Long March. In 1931 Japan invaded China and took control of Manchuria and other areas in the north. 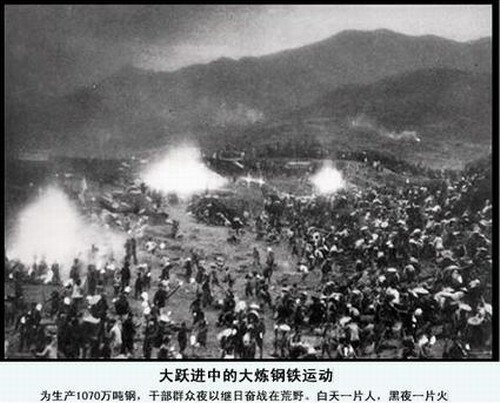 Communists and Nationalists fought together against the Japanese. As time went on Mao Zedong started to criticise the Soviet Union, from where Communism had originated. Joseph Stalin saw Mao as a rival, and not a Communist friend. He thought that Stalin was betraying the true principles of Communism. After World War II the Communists waged an all-out war against Nationalist forces and in 1949 gained control of all of China. Chiang Kai-shek’s soldiers were driven off the mainland and fled to Taiwan. In 1949 Mao Zedong became the Great Chairman of the newly created People’s Republic of China. At first Mao avoided appearances in public. In the 1950s more and more critics and intellectuals started speaking out openly against Mao and disagreed often with his policies. Towards the end of the 1950s Mao Zedong launched the so-called Great Leap Forward. In this project he aimed at transforming China from a farming to an industrial country. He collectivised China's agriculture. All property and land belonged to the state. However these state-owned farms were not able to produce enough food for China's rising population, so that millions died of starvation. The Cultural Revolution was a movement that Mao initiated in 1966. During this campaign he got rid of millions of people who were not loyal to him and instead recruited thousands of young soldiers who shared his ideas. He also eliminated many traditions and aspects of Chinese culture. The country fell into chaos, hundreds of thousands were killed or put into prison. China came out of the Cultural Revolution very slowly. In the 1970’s Mao Zedong’s power started to diminish. He allowed China to gradually open up to the western world. American President Richard Nixon’s visit to China in 1972 was the first time an American president had ever visited the People’s Republic. Mao Zedong died in 1976 after years of bad health.